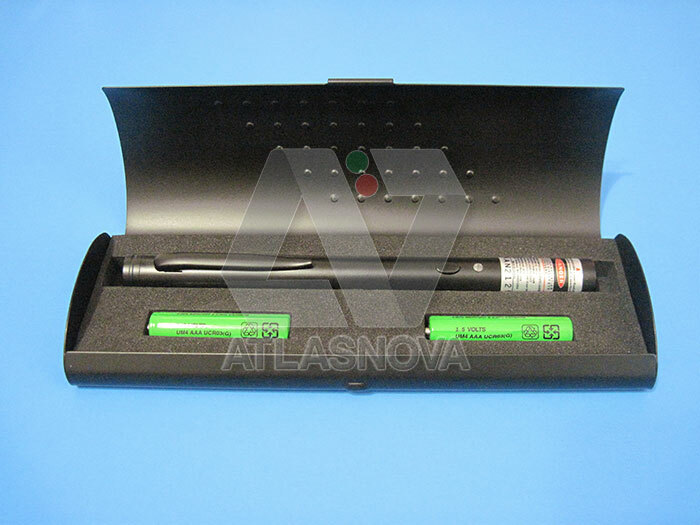 The Atlasnova Green Laser Line Pointer has a bright straight line that is ideal for presentation to draw a line under a word or phrase to highlight, emphasize or indicate special type. It is also excellent for DIY positioning and alignment, which is widely used in power tools, constructions, and the decoration industries. Powered by 2 AAA batteries, included. Made in Taiwan! With our laser line pointer, the farther you are, the greater the width of the line formed by the laser line pointer. And the closer you are, the less the width of the line formed by the laser line pointer. For example, if you are 10 feet away, the line beam will be 3 feet in width; and if you are 5 feet away, the line beam will be 1 foot and 6 inches in width. Our laser line pointer has a negative feedback circuit called APC which means Automatic Power Control. This ensures that the output power will not exceed 5mW. Also, our laser line pointer has a small green LED placed just above the ON button to show when the pointer is radiating. All metal construction in a metal gift box. It comes in a very attractive totally black finish to which Atlasnova has the exclusive rights. 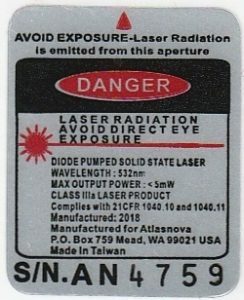 To make sure that you are buying a genuine Atlasnova green laser line pointer, always insist on seeing the FDA sticker before purchasing any laser. 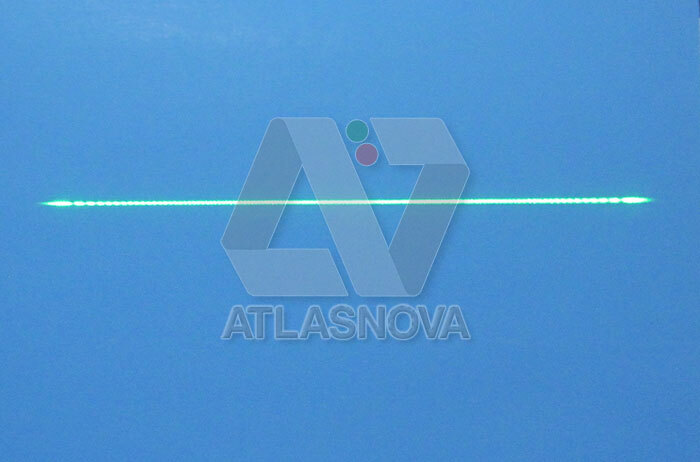 Our green laser line pointer has our company’s name and address on each FDA sticker. This is Atlasnova’s FDA sticker attached to each green laser line pointer as it leaves the factory. SAFETY PRECAUTIONS: Please use your green laser line pointer responsibly. Do not drop your green laser line pointer on a hard surface. Do not look into the path of the green laser line pointer. Direct eye contact with a green laser line pointer may cause eye injury! 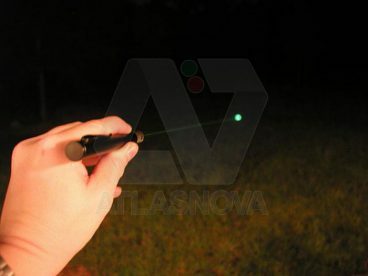 Do not direct your green laser line pointer at cars, airplanes or other vehicles, windows of houses, around the eyes of any person or animal, mirrors or other highly reflective surfaces—the green laser line pointer will be reflected to an unknown location. Keep the green laser line pointer out of the reach of children. Not a toy. Not for children. Modifying or tampering with the green laser line pointer components can cause a malfunction. 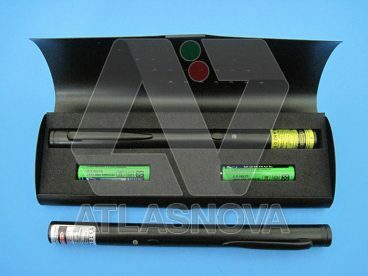 When not in actual use, keep the green laser line pointer inside the foam rubber lined steel case and remove the batteries to relieve the spring from tension. WARRANTY: Our laser line pointer comes with a 30-day warranty. 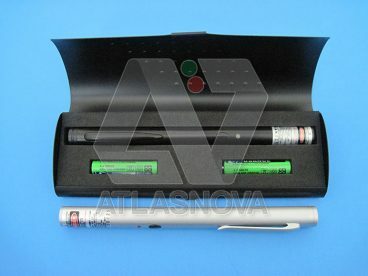 Removal or attempt to remove the FDA sticker, physical abuse (scratches), dropping the green laser line pointer or any attempt to disassemble or modify the green laser line pointer will void the warranty.